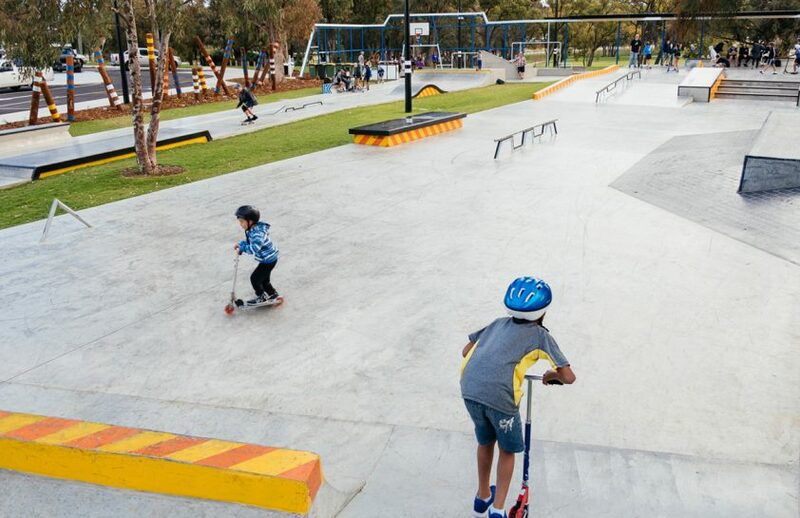 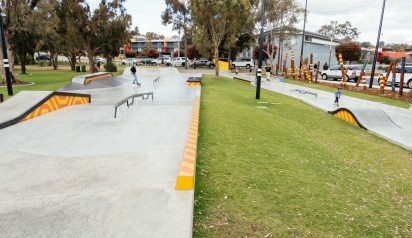 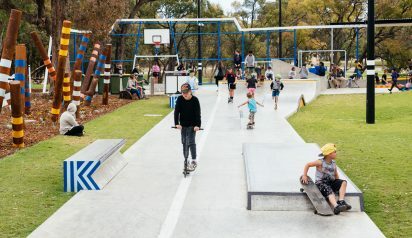 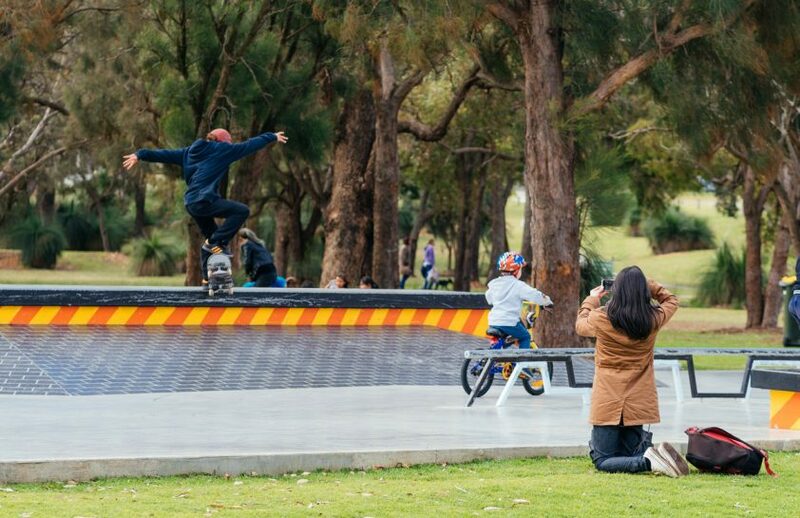 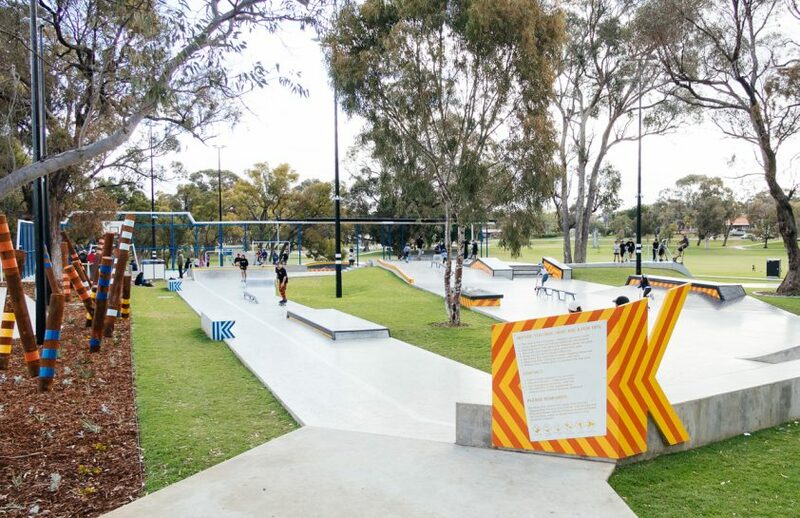 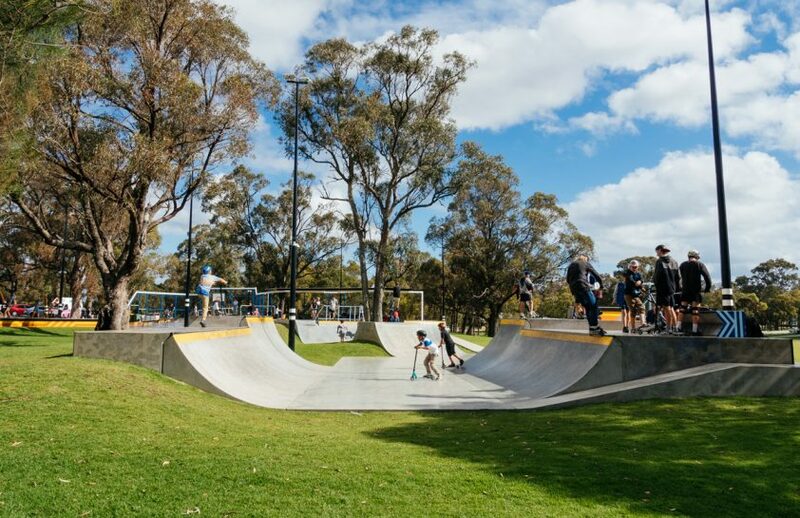 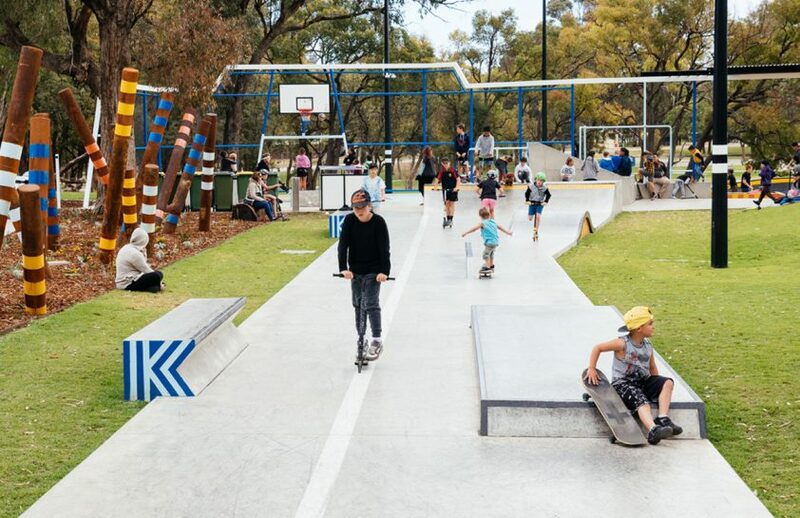 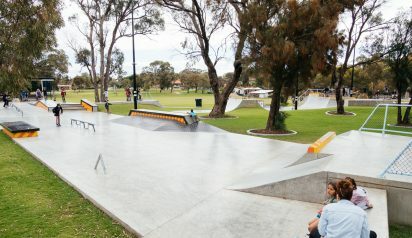 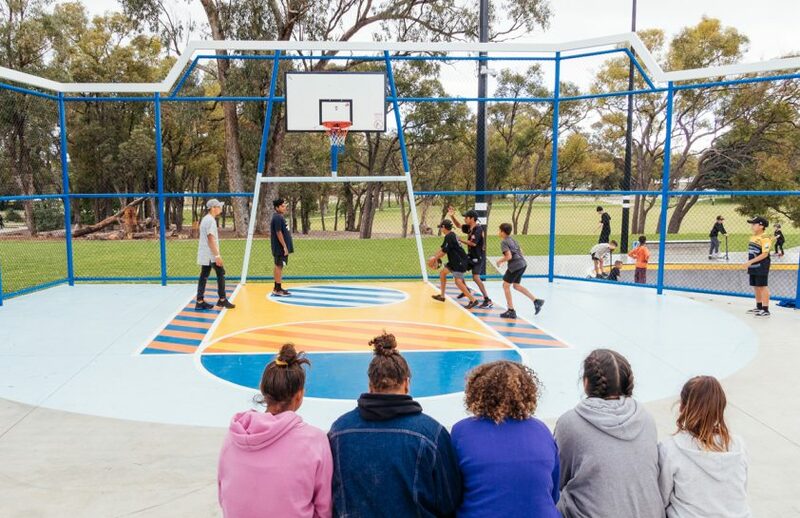 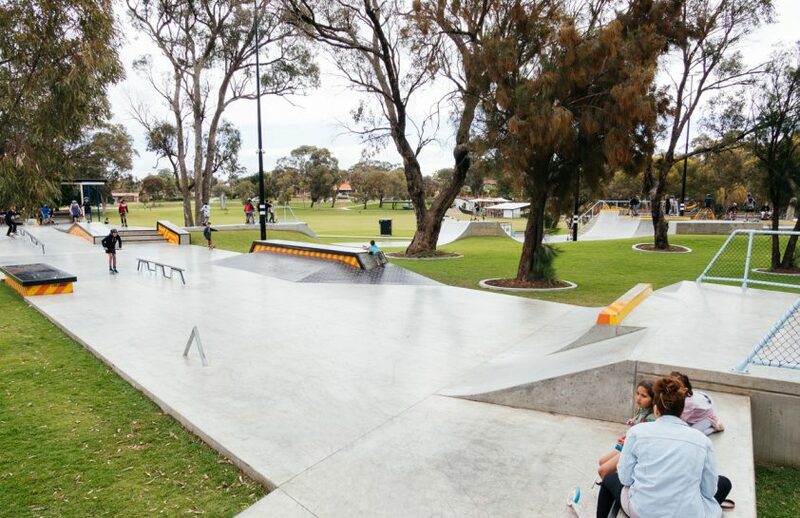 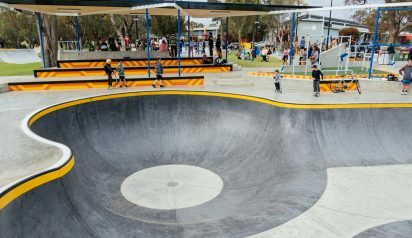 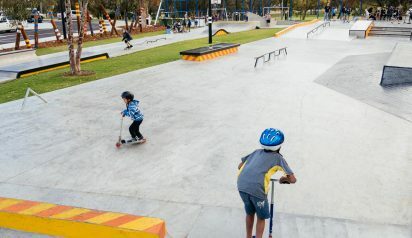 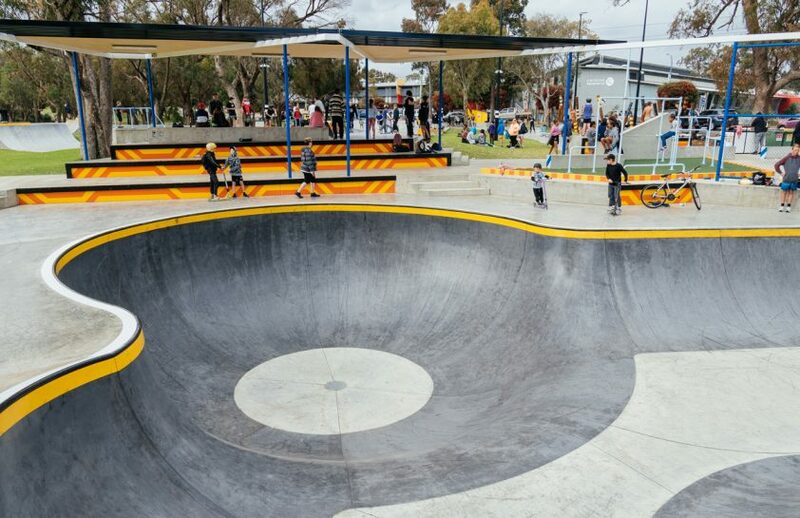 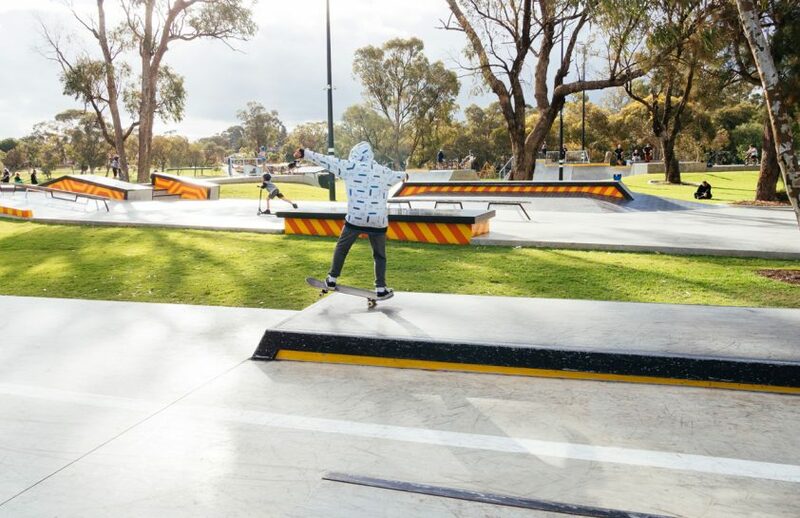 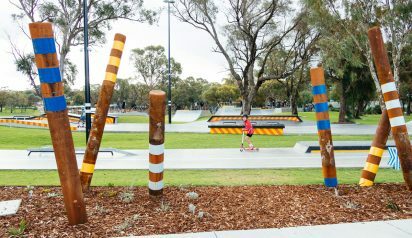 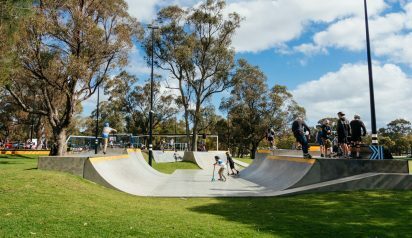 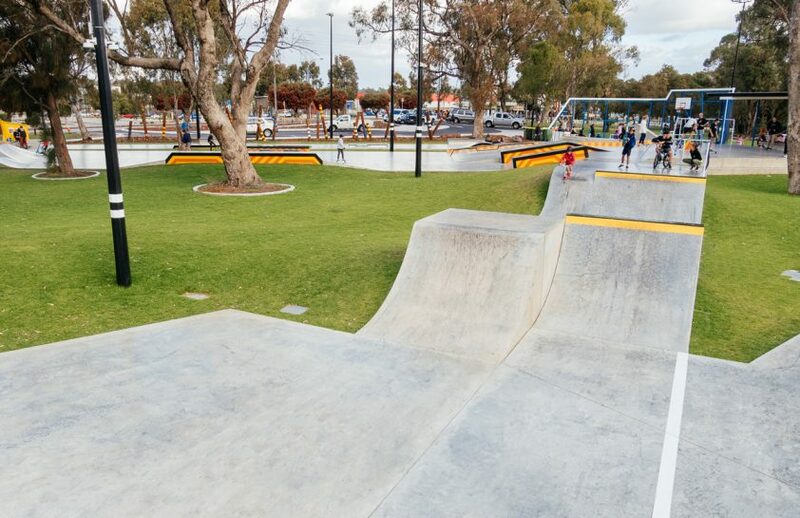 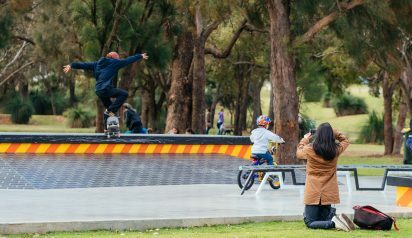 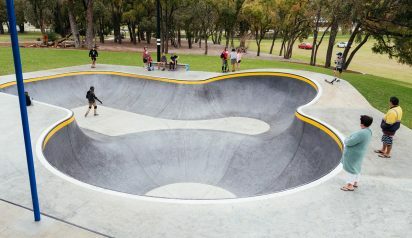 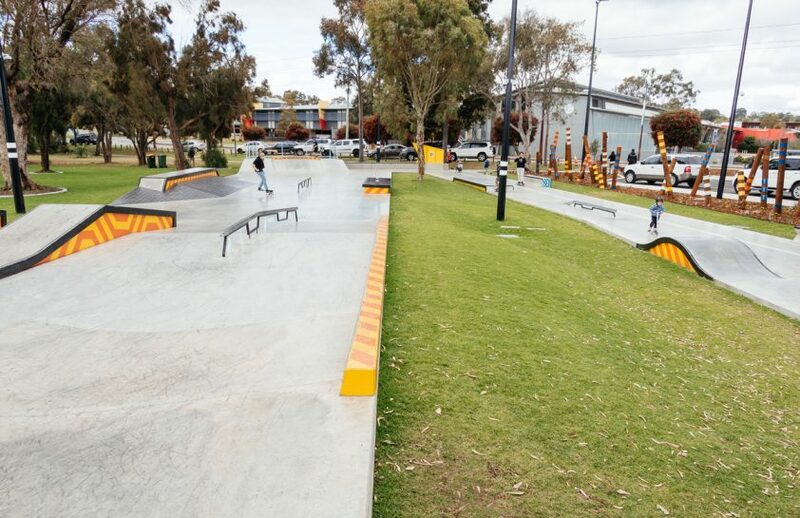 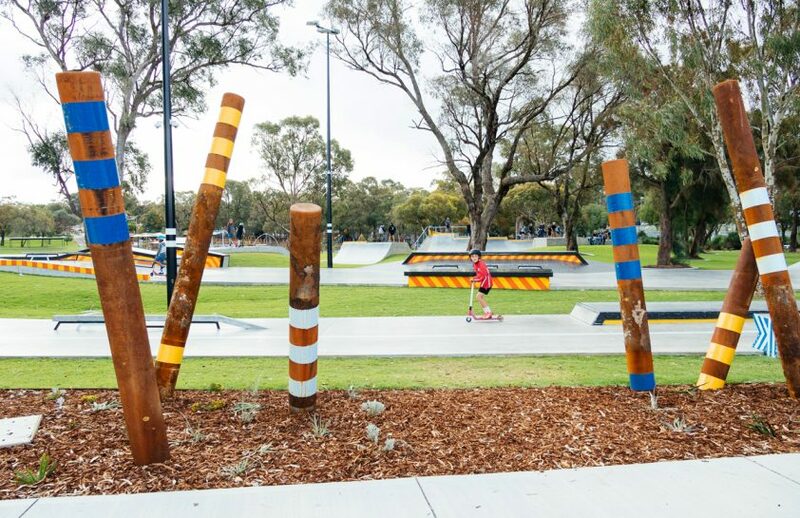 Located in one of the outer suburbs of Perth, the Kwinana Skate Park is a striking new addition to the Perth skate scene. 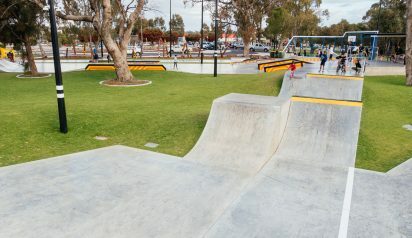 The park features a contrasting coloured pattern which is adopted throughout the space and reflects the ocean, inlet, beach and industrial character of Kwinana. 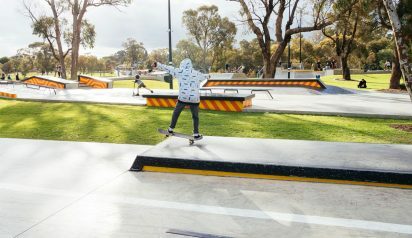 It’s clever use across the mainly vertical surfaces represents an innovative approach to the design of skate parks and how they are perceived at the level and scale of the park users and passersby. 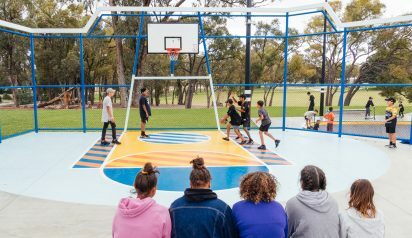 Consultations with the community helped influence the varied features of the space and ensured the 1700m2 space had something for everyone. 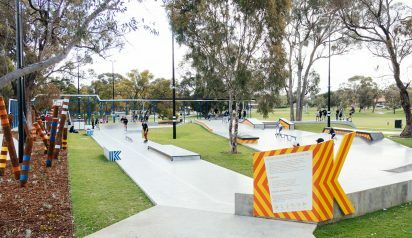 The park contains the following distinct areas: beginners skate area, street area, half pipe, jumps track, advanced bowl, basketball half-court and parkour features with shade structures, water fountains and phone charging stations.